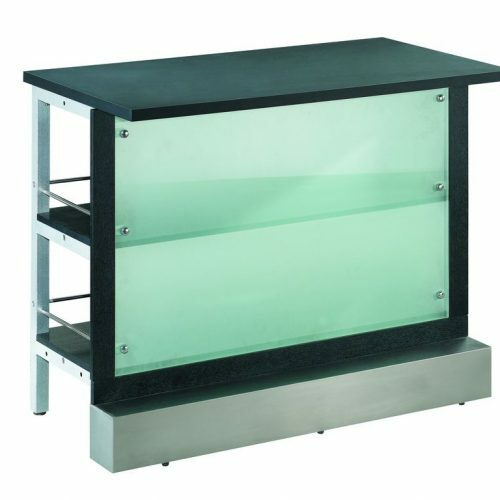 Our Lumi Glow Serving Station/Bar is a larger piece at 5ft wide by 3ft. deep. 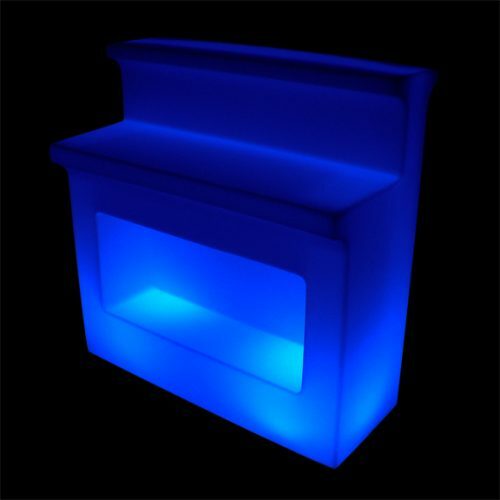 This acrylic piece can be used as a bar, serving station, display for laptops or even as a bar height table with seating. 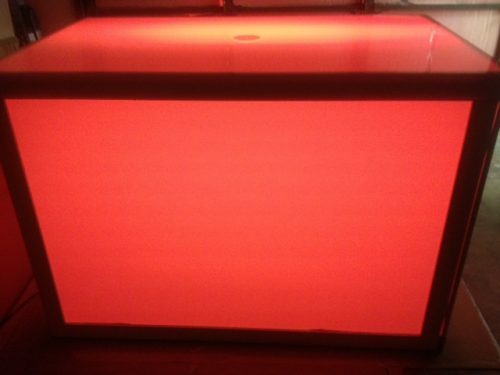 The unit has a convenient 3″ center hole conveniently place at the center that can be used to drop down wiring for table lamps, displays, electronics/computer equipment, etc, or just cover with our convenient cover plate. The uses for the Lumi Station are endless. 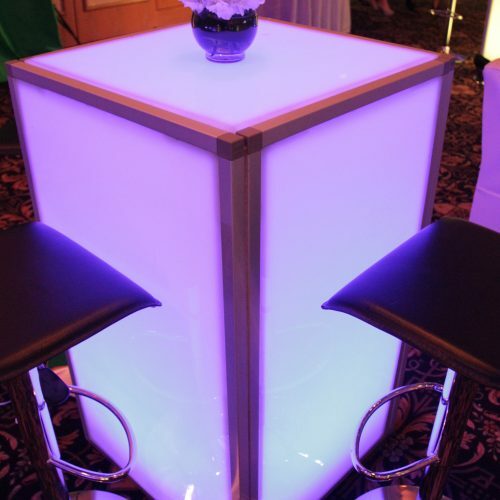 Can be further customized with a branded logo for your event.